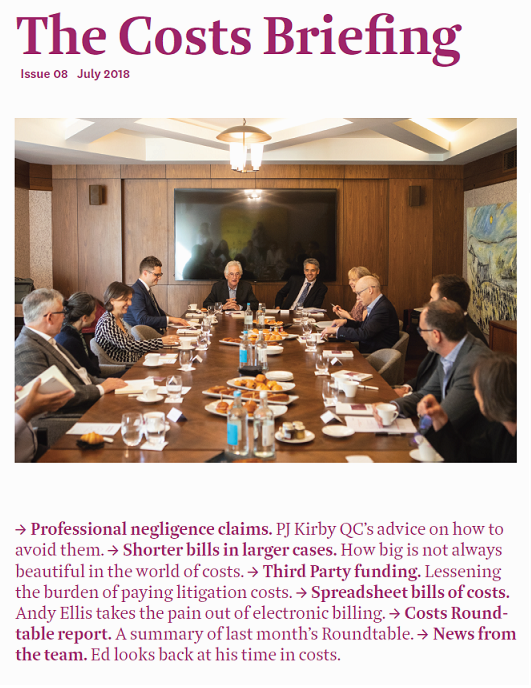 In this edition we feature PJ Kirby QC’s thoughts on avoiding professional negligence claims and a guest article by Susan Dunn of Harbour Litigation which explores ways to reduce the burden of litigation costs. The Practico team is represented by articles from Andy and Aimee. Practico is at the forefront of work to improve the process for dealing with costs and the articles from both Andy and Aimee show that we still have that prize firmly in our sights. There is also a report on our recent Costs Roundtable breakfast meeting, and it is Ed’s turn to feature in the ‘Meet the Team’ section. If you would like to be involved in future events, please email dburke@practico.co.uk.